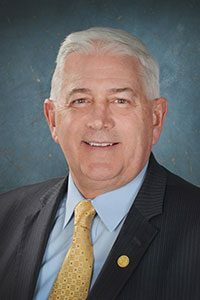 LANSING, Mich. — Sen. Ken Horn announced on Wednesday that $1 million in grant funding was recently made available through the state of Michigan’s Campus Sexual Assault Grant Program. Michigan colleges and universities will be able to apply for funding to support new or ongoing efforts to reduce sexual assaults on campus. Applications will be accepted from public and non-public schools. This is the fourth wave of grants aimed at ending sexual assault on Michigan’s college campuses since 2015 and is the largest investment in the program’s history. In 2015, the governor called for $500,000 from the fiscal year 2016 General Fund to support the grant program, which the Legislature subsequently approved. An additional $500,000 was authorized in 2017 and another $600,000 in 2018. Funding for the most recent grant comes from a bipartisan, $1 million appropriation from the fiscal year 2019 General Fund budget. The application process opened on Tuesday, Aug. 14 and will run through Monday, Oct. 8. More information can be found on the Michigan State Police Website here, or at www.endcampussexualassault.com.